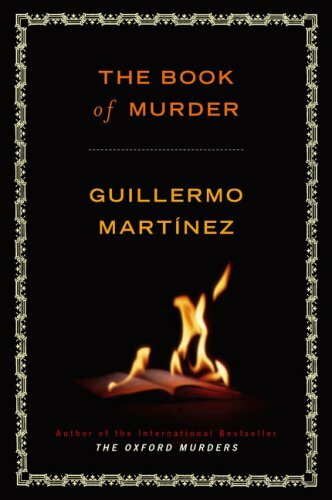 When Guillermo Martínez 's novel The Oxford Murders was first published in the United States, The New York Times Book Review called it "a scholarly whodunit [for] anyone who loves a good mystery." Now Martínez returns with a worthy followup: the mesmerizing The Book of Murder. A young writer finds himself unexpectedly tangled up in the story of Luciana, his former assistant and Kloster, bestselling author and rival. What he discovers about the deaths surrounding Luciana will make him question everything he had always believed-and taken for granted-about chance and calculation, cause and effect. Guillermo Martínez was born in Argentina in 1962. Since 1985 he has lived in Buenos Aires, where he earned a PhD in mathematical science. He is the author of several highly acclaimed novels and short story collections, including the international bestseller The Oxford Murders.